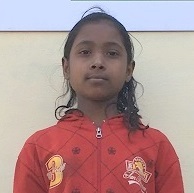 Rachna's articulation and composure has been amazingly consistent over the past 3 years and she has evolved to being a very responsible and cherised student at Anmol Shiksha. 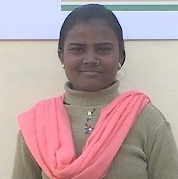 Arshpreet volunteer for various group activities and has progressed to support the teachers in most of the activities. She is the library incharge and has earned her respect amongst her peers. 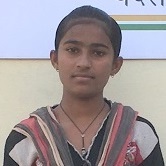 Kajal has progressed from being incharge of Anmol Shiksha's physical activities to taking on more leadership roles in mentoring the younder sections of the school. Navdeep has always exceeded our expectations with her natural talent of singing and dancing. She has progressed extremely well with here art and craft skills. 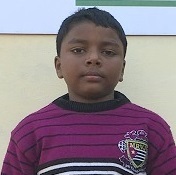 Through determination and hard work Arjun has been able to transform himself a valuable member of his class. Shanjana takes pride in what she does. A consentious student with a hunger to learn. She started to excel in her public speaking abilities. Kushi shared her wild life artifacts with the class. Her attitude towards her peers has improved tremendously. Sapna has an innovative streak and exhibits great sense of leadership. She is very resourceful. Seema exceeds our expectations with her natural talent of art and craft. She brings her creative sense into her academics as well. Sapna has an innovative streak in her and aspires to be creative at all times. She builds on one of our pillars of entrepreneurship. Harinder is a very compasionate youngster and is very creative and understands the importance of teamwork and is an able leader of the class. Arshpreet is senior most student and exhibits great sense of leadership in all her group activities and is a very resourseful hand always. Gaytri takes pride in what she does. A consentious student with a hunger to learn. This trait will help her expand her boundaries. 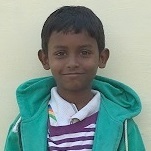 Kushi shared here enthusiam to learn by undertaking to teach lesson charts. Her articulation and composure in ensuring that everyone listened was commendable. Nitin is an energetic young boy and his frankness in speaking up for the truth as well as being responsible to get the class on time earned him respect. 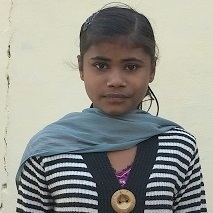 Rani brings life with her smile and is very good with her hands. 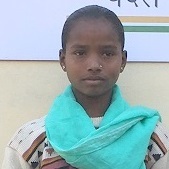 She takes the lead role in doing art and craft activities and provides a helping hand to her teachers. Arjun is a very compasionate youngster and is very creative and understands the importance of teamwork and is an able leader of the class. Kajal has anchored the physical traning center at Anmol Shiksha and has not excelled in her performance both on and off field, she has been a source of motivation for others. Gaurav shared his wild life artifacts with the class and made a concerted effort to present his work in a methodical manner. His attitude towards his peers has improved tremendously. Shanjana has finally come out of her shell and begins to take lead roles in some her craft activities. Always takes her lessons very seriously. Through determination and hard work Harinder has been able to transform himself a valuable member of his class. Navdeep exceeds our expectations with her natural talent of singing and dancing. She brings her creative sense into her academics as well. Seema has an innovative streak in her and aspires to be creative at all times. She builds on one of our pillars of entrepreneurship. Aradhana takes pride in what she does. A consentious student with a hunger to learn. This trait will help her expand her boundaries. Gaytri sense of discipline exceeds her peers. She is always puntual and works as a team requiring little help from her teachers. 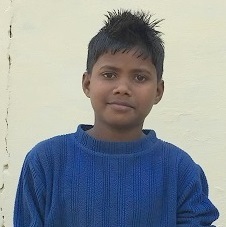 Arjun was the naughtiest boy when he first joined. He has transfromed into a team leader with an uncanning ability to spark a debate. Ashpreet was able to volunteer for various group activities and her leadership qualities earned her respect amongst her group. 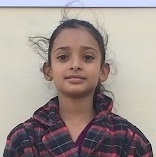 Sapna is a very hardworking girl and her keenness to learn new things as well as her patience earned her to be the favourite of the month. 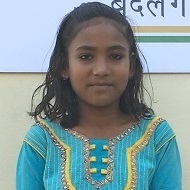 Sanju is a very compasionate youngster and is very creative and understands the importance of teamwork and is an able leader of the class. Kushi brings life with her smile and is very good with her hands. 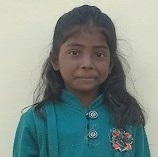 She takes the lead role in doing art and craft activities and provides a helping hand to her teachers. 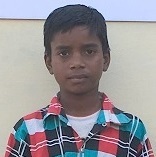 Arjun is a very energetic young boy always willing to take up new challenges. He volunteers for most of the tasks and a very lively individual owing to his enthusiasm. Arti is senior most student and exhibits great sense of leadership in all her group activities and is a very resourseful hand always. Veeru is an energetic young boy and his frankness in speaking up for the truth as well as being responsible to get the class on time earned him respect. 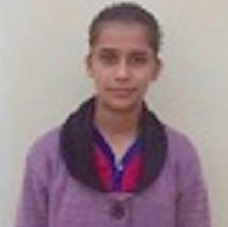 Rachna shared here enthusiam to learn by undertaking to teach lesson charts. Her articulation and composure in ensuring that everyone listened was commendable. Rani's praise worthy traits were noticed right from the inception. She is a girl with a lot of poise and is keen to take on responsibilities. Her enthusiasm to help others was highly noticeable.